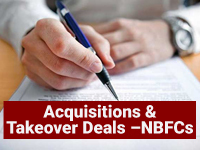 How to Register an NBFC ? Non-Banking Financial Companies (NBFCs) have been making important contributions to India’s economy. However, the Reserve Bank of India (RBI) still controls the working of all NBFCs under the framework of RBI Act, 1934 and directions issued by it from time to time. Every NBFC, in order to carry out its operations, is required to obtain license from RBI. In other words, any establishment desirous of starting the business of NBFCs shall apply to RBI for obtaining license to operate as NBFCs, and must be registered with RBI as an NBFC. 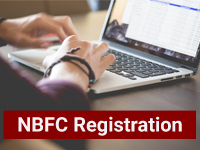 It is, therefore, important to know as to how to register an NBFC. The application can be submitted online by accessing RBI’s secured website https://cosmos.rbi.org.in . At this stage, the applicant company will not need to log on to the COSMOS application and hence user ids are not needed. The applicant company can click on “CLICK” for Company Registration on the login page of the COSMOS Application. A window showing the Excel application form available for download would be displayed. The applicant NBFC can then download suitable application form. Step 2: After uploading the filled-in application form, the company would get a Company Application Reference Number. Step 3: Thereafter, the company has to submit the hard copy of the application form (indicating the online Company Application Reference Number) along with the supporting documents, to the concerned Regional Office. The company can check the status of the application online. 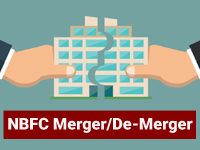 MUDS offers 360-degree services of NBFC Registration and have served top corporates. From my 9 years experience in this industry I can confidently say- While the process is simple, it may become extremely complicated and time consuming if the company secretary hired is not competent and experienced. ! Recently, the process of making an application has become a lot easier. In order to make the registration process of new NBFCs smoother and hassle-free, the RBI, since 2016, has revised the application form for registration of NBFCs and the checklist of documents to be submitted. The number of documents to be submitted by NBFC applicants has been reduced from the existing set of 45 documents to seven to eight in the revised process. RBI has decided to put the system on fast track for non-deposit taking companies (NBFC-ND applicants) and reduce the number of documents required by four-fifth to improve efficiency. The regulator has allowed non-deposit taking NBFCs to apply separately so that the processing of them can be fast-tracked. As these companies will not have access to public funds and will not have customer interface, they will be subjected to less intensive scrutiny/ due diligence. However, the certificate of registration issued to the NBFC-ND companies will be conditional. These companies will be prohibited from accessing public funds and having customer interface. In case these companies intend to avail public funds or intend to have customer interface in the future, they are required to take fresh approval from the RBI.